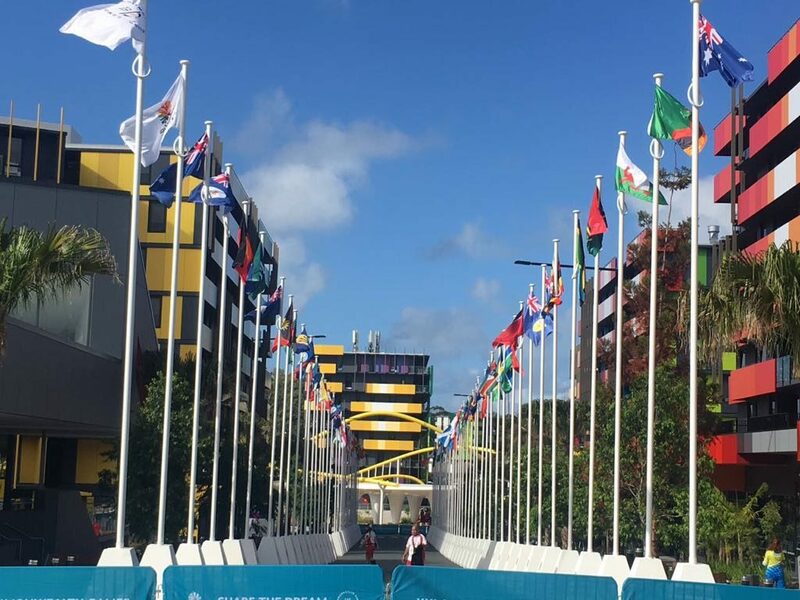 That site is the Commonwealth Games Village and for roughly 10 days, depending on different athletes and their schedules, this becomes their home from home. This Games village has to be one of the better Games Villages I’ve had the privilege of staying in. It may be slightly more compact than some of the others but it works out just perfectly and Team SA’s athletes have raved about it. There’s got to be something special about being able to stand within a metre of a group of multi-coloured parrots foraging on a tree just outside the main dining room. Fittingly, all six of the accommodation blocks are named after iconic Queensland zones. Team SA live in Sunset, with the others being named Reef, Rainforest, Outback, Beach and Surf. In the Sunset building, there are eight storeys, with most of them featuring air-conditioned two-roomed apartments, while across the road there are a few townhouses where team codes are accommodated, hockey and cycling being just two to mention. House-cleaning duties are performed daily and there’s free wi-fi in the apartments as well as at key areas in the village. Each team has its dedicated laundry services, operating between 7:00am and 11:00pm, and the basement also features vending machines that offer free soft drinks and bottled water. Four of the accommodation centres also have recreational swimming pools for cooling off in the sultry Gold Coast climate. 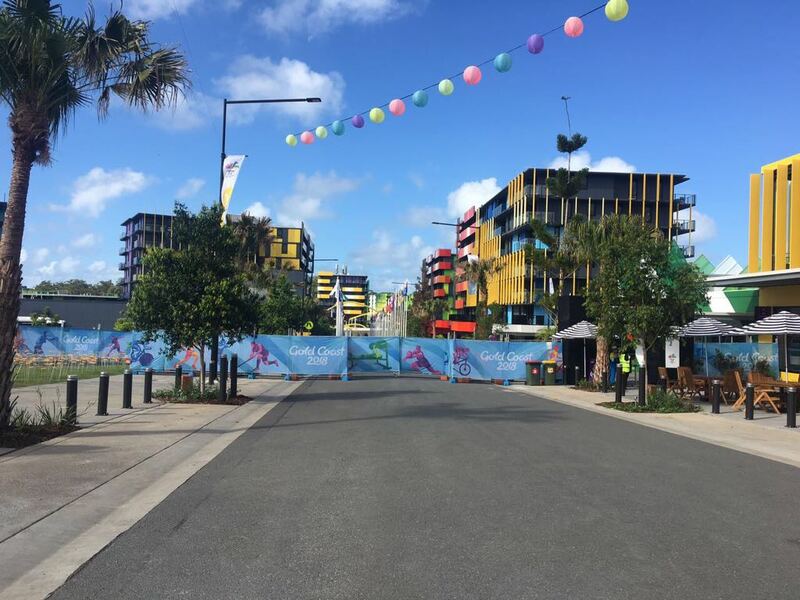 Chances are that most athletes will leave Gold Coast on the heavier side than when they arrive, despite competition! That’s because there’s 24-hour catering in the main dining room and then casual dining sections scattered around the village as well. These showcase local al fresco options… think kangaroo pie, crocodile sausage and emu sausage! There’s a Games room where athletes can wind down and for those needing something stronger for the nerves, there’s a ‘watering hole’ serving alcohol to over-18s. Cellphone/gadget stores, memorabilia, postal services, currency exchange facilities. You name them and this village is likely to have them. And for athletes done with the competition, the light-rail system runs right past the village, less than a minute’s walk from the main entry/exit point. The tourist attraction of Surfers Paradise is a free (to accredited athletes and officials) 30-minute trip. The Games slogan is ‘Share the Dream’… such is the efficiency of the Games Village set-up to this point that Team SA are actually living the dream!